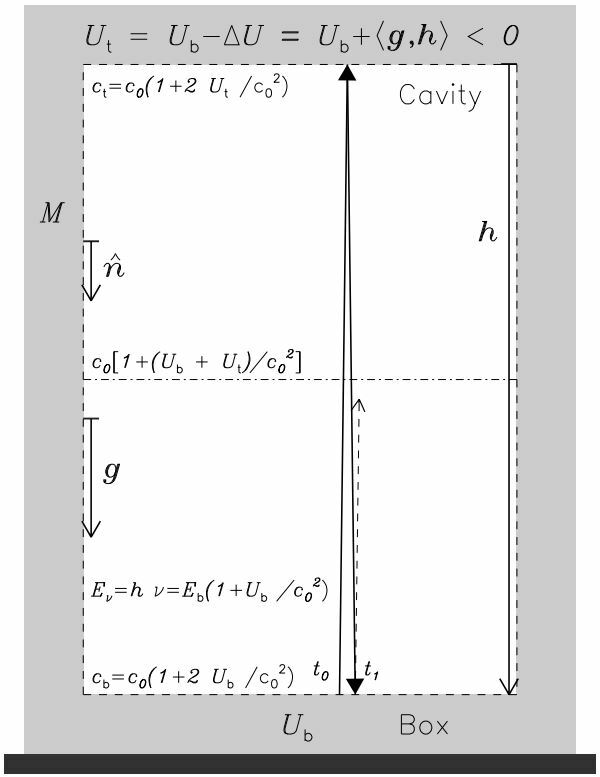 The inertial and gravitational mass of electromagnetic radiation (i.e., a photon distribution) in a cavity with reflecting walls has been treated by many authors for over a century. After many contending discussions, a consensus has emerged that the mass of such a photon distribution is equal to its total energy divided by the square of the speed of light. Nevertheless, questions remain unsettled on the interaction of the photons with the walls of the box. In order to understand some of the details of this interaction, a simple case of a single photon with an energy Εν = h ν bouncing up and down in a static cavity with perfectly reflecting walls in a constant gravitational field g, constant in space and time, is studied and its contribution to the weight of the box is determined as a temporal average…. This entry was posted in QUANTUM PHYSICS and tagged photons. Bookmark the permalink.